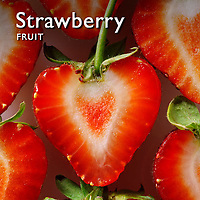 Fresh strawberry fruit food pictures, photos & images. 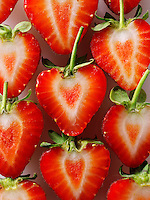 Fragaria is a genus of flowering plants in the rose family, Rosaceae, commonly known as strawberries for their edible fruits. Originally straw was used as a mulch in cultivating the plants, which may have led to its name. There are more than 20 described species and many hybrids and cultivars. 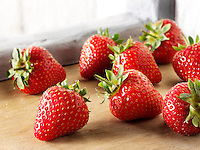 The most common strawberries grown commercially are cultivars of the Garden strawberry, a hybrid known as Fragaria ×ananassa. 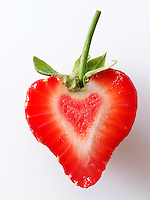 Strawberries have a taste that varies by cultivar, and ranges from quite sweet to rather tart. 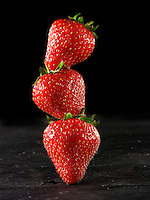 Strawberries are an important commercial fruit crop, widely grown in all temperate regions of the world.